The designer’s idea is projected in real life size on paper and then cut out., That cut is present during the whole production process till the final technical review check. 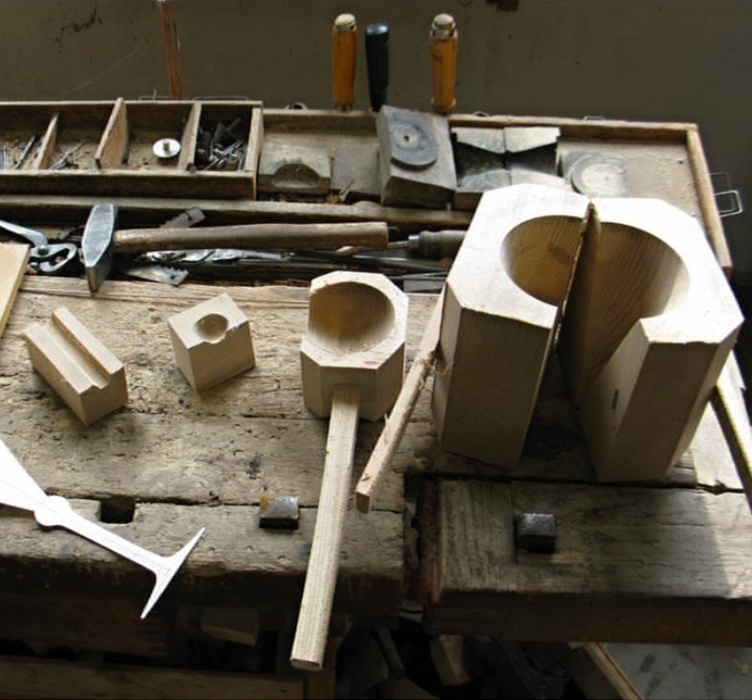 We use healthy and fresh beech wood to make our basic shape forms. 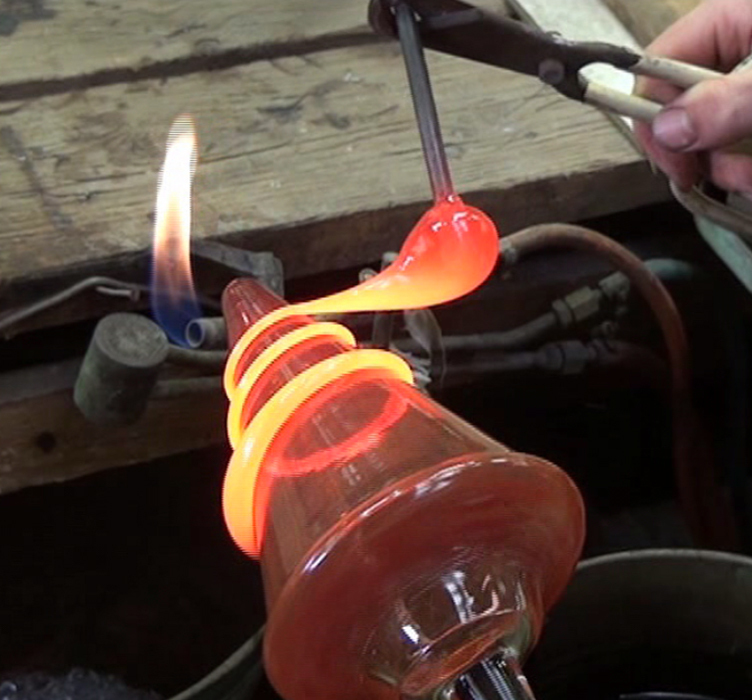 The form maker creates a perfect form using the initial designers cut and prepares other tools for the glassblowers. The blower gathers the melted glass on his pipe. 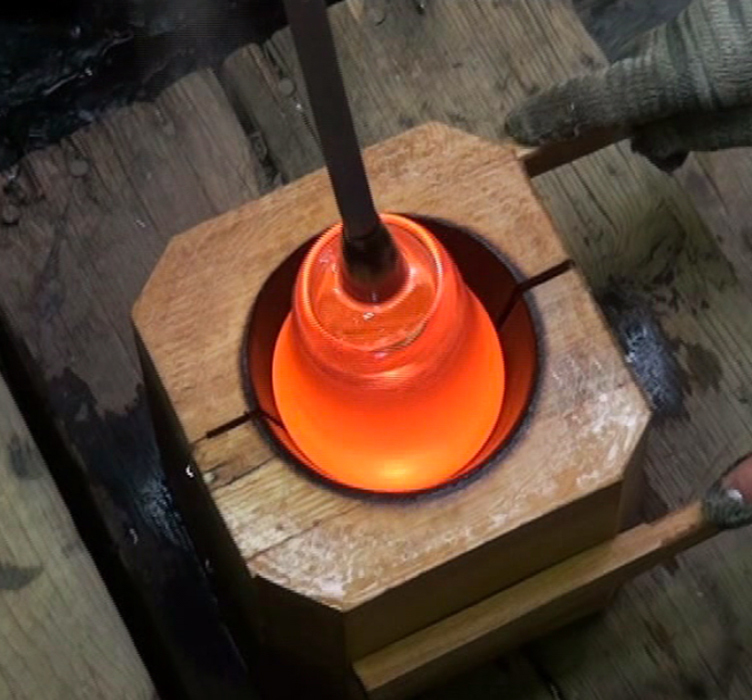 The temperature of the glass is about 1200 °C. He goes on with blowing the basic shape into the wooden form. He usually gathers the required amount gradually, often also using different types of glass. 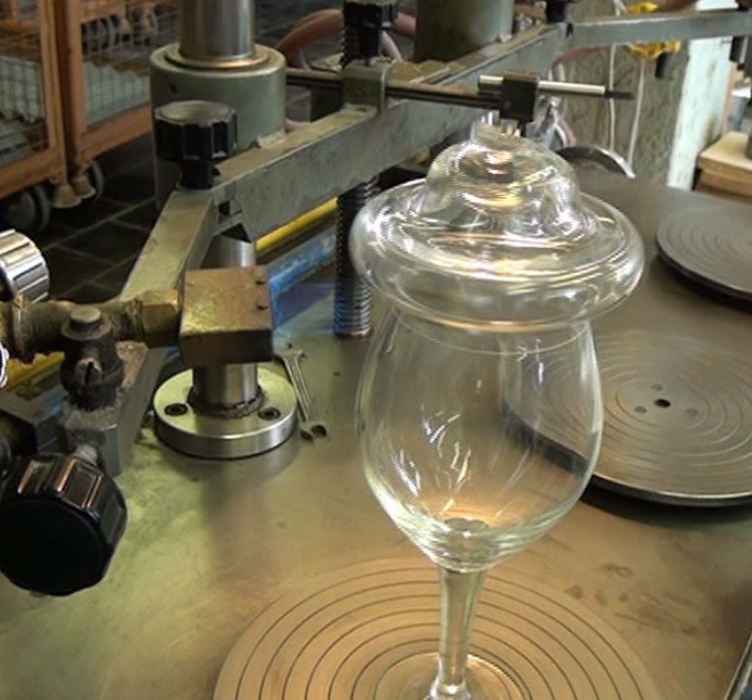 To process and shape the glass to its final form many different steel and wooden tools are used. 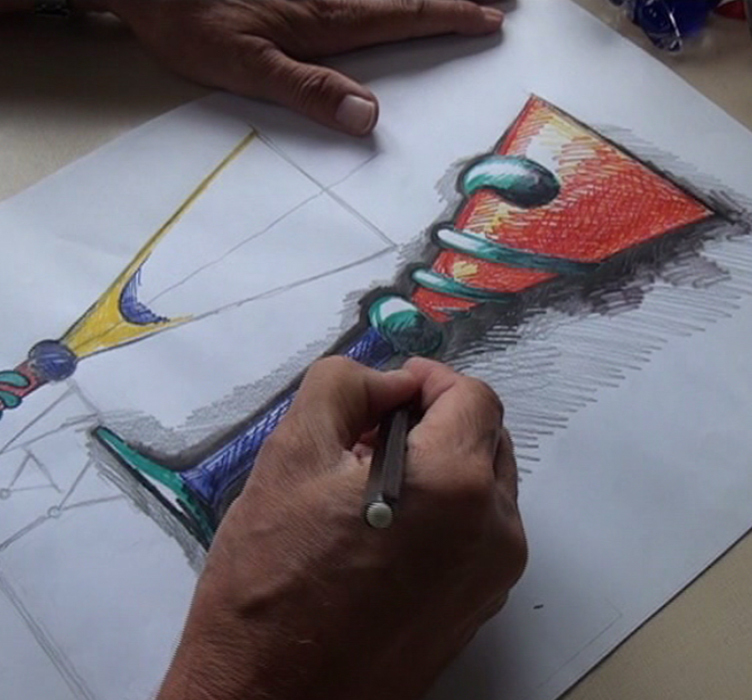 After shaping the product, the glassblower passes the pipe to the master of the craft, who will use several tools to decorate and finalize the product. Final product is put into cooling furnace where it goes through the process of slow cooling that is crucial to eliminate the inner tension in the material. 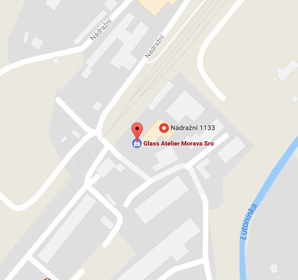 The glass has to be cracked apart from the part still connected to the pipe. First step is a circumferential cut that is exposed to a hot flame that will make the glass crack off exactly in the line of the cut. 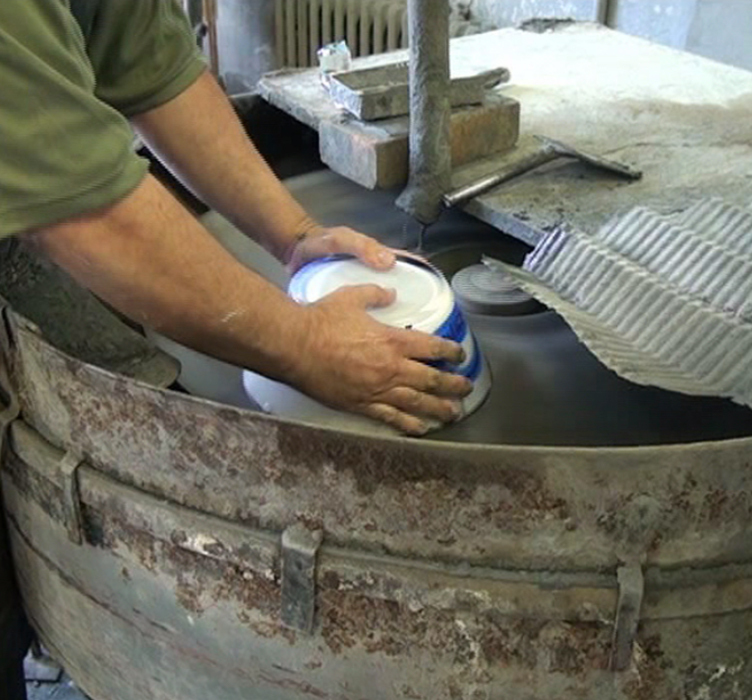 After cracking off, the glass remains sharp and needs to be polished It is a hand work done on the grindstone. 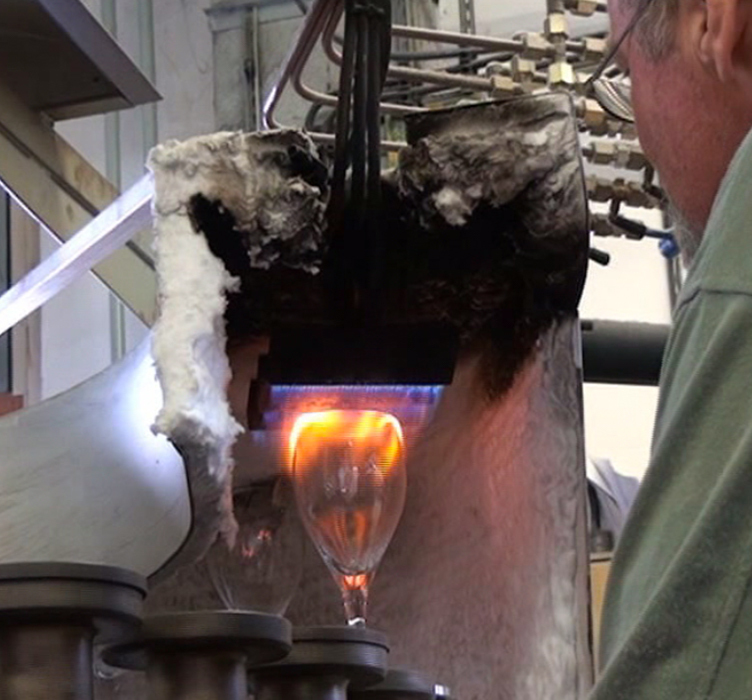 The glass is again exposed to the flame, this time by its upper edge. The edge is made round so it feels perfect to your touch. Before packing and shipping, every product goes through a thorough hand and visual inspection by the quality control inspector. It is perfectly cleaned, polished and packed to meet the customer’s wish.